Summary: Researchers say schizophrenia should not be considered to be just a disorder of the mind, as schizophrenia can also impact other organs. A new study reveals people with schizophrenia often have an over active immune system and other physical disorders. However, in recent years, scientists have observed that people who have recently been diagnosed with schizophrenia and who aren’t on any medication yet show evidence of physiological changes, such as an overactive immune system. Could it be that schizophrenia is in fact a body-wide disorder? Antipsychotic drugs, for example, are associated with an increased risk of weight gain and type 2 diabetes. NeuroscienceNews.com image is adapted from The Conversation news release. Third, symptoms of schizophrenia and physical health disorders may arise via different mechanisms but from a common risk factor. An example of this is how famine experienced by a pregnant mother increases the chances of her child developing both diabetes and schizophrenia in adult life. The increased risk of schizophrenia may be due to impaired development of the child’s brain as a result of the mother’s malnutrition. The increased risk of diabetes may be due to changes in the child’s ability to metabolise glucose, again a result of the mother’s malnutrition. We need to do more work to figure out whether changes around the body are a cause or a consequence of schizophrenia. One approach is to look at those people who are at risk of developing schizophrenia to see how changes around the body evolve in the ones who develop schizophrenia compared with those who don’t. More work is also needed to see how changes around the body respond to changes in the severity of symptoms of schizophrenia. 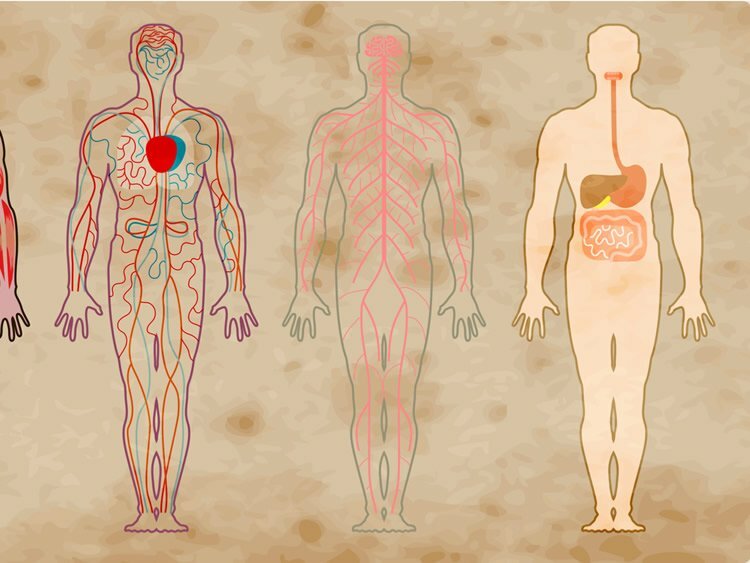 The Conversation”Schizophrenia Affects Your Body, Not Just Your Brain.” NeuroscienceNews. NeuroscienceNews, 12 May 2018. The Conversation”Schizophrenia Affects Your Body, Not Just Your Brain.” http://neurosciencenews.com/schizophrenia-body-brain-9036/ (accessed May 12, 2018). WHEN WORDS LOSE THEIR POWER, THERE IS TYRANNY. WHEN WORDS LOSE THEIR MEANING, THERE IS OPPRESSION! Some of us have been told that we are “Mentally ill” for speaking out & standing up against Tyranny & Oppression, and also for daring to say The Emperor called psychiatry has no clothes. The controversy regarding the Myth of mental illness and psychiatry Is not about science or medicine, it’s about power & Control. What do we know that is true, that the cult of psychiatry keeps telling us is false? The idea that there is a “known” brain disease causing mental illness. The truth is that no one can tell if mental illness exist by looking at pictures of their brain, or analysis of their blood. Psychiatrist had to invent their own book of diseases because pathologist would have nothing to do with them. It’s called the Diagnostic & Statistical Manual, the DSM, A great work of fiction. What’s the difference between the DSM & a scientific book of disease? That Every disorder in the DSM is invented, every disease listed in a pathologist text book is Discovered. A real disease is found in a cadaver at autopsy, mental illness is not! Mental illness refers to what a person does, real disease refers to what a person has. It takes one person to have a disease, it takes two persons to have a mental illness. Mental illness is always diagnosed on the basis of some sort of social conflict. When people do something that others feel objectionable, they can be diagnosed as mentally ill. If the person doing the diagnosis is more powerful, than the one being diagnosed, there is always trouble. The diagnosis of “mental illness” is a weapon, a tool used against another, especially when there is some kind of power conflict present. Treatment for “mental illness” is punishment. When some one commits a crime and a Psychiatrist is present in the court room, the defendant may go to a mental institution instead of a prison. Psychiatric treatment is worse than prison, for in prison, they don’t judge how long people should be deprived of their liberty on the basis of what they think of themselves or the world. In the mental institution, of course this is not the case. If you do not think of yourselves or the world how they want you to think, you will be punished longer. Psychiatrist love to say that “mental illness” is a real disease, that it’s just like Cancer. The Analogy between “mental illness” and real disease is not reciprocal. It does not hold both way’s. Having cancer is not like being depressed, we don’t shock people with cancer to make them better, Especially when they don’t want to be shocked. If you have Melanoma, does it cease to exist if you move to another Country? Of course not! If you are wandering in the foot hills of the Himalayas, meditating 15 hours a day, you may be called a Holy person in India. He would be quickly diagnosed as a “Paranoid Schizophrenic” and committed to a mental Hospital. What do you think Psychiatrist would do to Jesus if he were alive today, or Buddha or Muhammad? Peace be upon them. Straight to a mental Hospital, injected with deadly drugs to stop their beliefs and speech. Psychiatrist today are the NEW Inquisitors, they would crucify the Holy men of yesterday in an instant. We must take Psychiatry seriously when it comes to all the Harm they have done to people in the “Name” of helping them.